BY ACCESSING THE SITE, YOU AGREE TO BE BOUND BY THESE TERMS. IF YOU DO NOT AGREE WITH THESE TERMS, DO NOT ACCESS OR USE THE SITE OR CONTENT, MAKE A PURCHASE, REGISTER FOR AN ACCOUNT, OR CLICK TO INDICATE THAT YOU AGREE TO THESE TERMS. THESE TERMS CONTAIN A MANDATORY ARBITRATION PROVISION AND CLASS ACTION WAIVER; PLEASE REVIEW SECTION 23. Changes to these Terms. We reserve the right to prospectively change these Terms at any time, in our sole discretion. You should periodically review these Terms for changes and you can review the most current Terms at any time at: https://www.boldlyandco.com/terms-and-conditions. The updated Terms are binding on you as of the Effective Date indicated at the top of these Terms. If you do not agree to updated Terms, you should stop using the Site before the Effective Date. Your continued use of the Site after the Effective Date will constitute your acceptance of the updated Terms. Permitted Use; No Distribution. Except for the limited right to use the Site and view the Content, you may not download, copy, sell, print, rent, lease, issue, distribute, transmit, broadcast, modify, perform, display, transfer, upload, post, create derivative works of, exploit, sublicense, reverse-engineer, or otherwise use the Site or Content without express written permission from Boldly. You may only use the Site for personal, non-commercial purposes. All products and content produced by Boldly is for personal, non-commercial use and may not be reproduced in any form unless otherwise expressly permitted by Boldly. No right, title or interest in or to any trademark, service mark, logo or trade name of Boldly or its licensors is granted under these Terms. You may not remove any proprietary notices on the Site or Content, or attempt to disable, bypass, modify, defeat, or otherwise circumvent any digital rights management or security system used as part of the Site or Content. You further agree not to interfere with the proper functioning of the Site and not to use the Content in a way that suggests you are a representative of Boldly. Any scraping, automated access, or other unauthorized access to and storage of Content is prohibited. You may not use the Site or Content for any illegal purpose. Use of the Content for any purpose other than what is described in this Section is prohibited. Account Registration. You may register for an account on the Site (“Account”) in order to access certain features. Creating an Account may enable you to move through the checkout process more quickly, store multiple shipping addresses, view and track your orders, and more. When you register for an Account, you must provide Boldly with your current, complete, and accurate information, including your first and last name, email address, and a password selected by you. Your login and password may only be used by you and you are responsible for keeping your user password confidential. We may also ask for your date of birth in order to verify your age. Children under the age of 13 are prohibited from using the Site or registering for an Account. You are responsible for all activity that occurs under your Account and you agree that Boldly may attribute all use of your Account to you. Please notify us immediately if you suspect any unauthorized use of your Account or any other breach of security. Product Prices and Availability; Cancellation. Current prices for products and services are described on the Site. Boldly may change pricing at any time at its sole discretion. The amount of any sales, use, or other taxes however designated, levied or based on such prices shall be added to the prices shown. Promotions and/or discounts may be offered from time to time on the Site and may be subject to additional terms, limitations, and restrictions. In order to take advantage of such promotions and/or discounts, you agree to comply with any terms, conditions, limitations, or rules presented to you as a condition of participation in any such promotional offer. Boldly reserves the right to change or discontinue any product or service at any time and without notice. Boldly further reserves the right, in its sole discretion, to cancel any order, limit any purchase, or refuse to fulfill an order for any or no reason. If your order will be cancelled, limited, or delayed, Boldly will contact you. We take claims of copyright infringement seriously. We will respond to notices of alleged copyright infringement that comply with applicable law. If you believe any materials accessible on or from this Site infringe your copyright, you may request removal of those materials (or access to them) from the Site by submitting written notification to our Copyright Agent (designated below). In accordance with the Online Copyright Infringement Liability Limitation Act of the Digital Millennium Copyright Act (17 U.S.C. § 512) (“DMCA”), the written notice (the “DMCA Notice”) must include substantially the following: Your physical or electronic signature; Identification of the copyrighted work you believe to have been infringed or, if the claim involves multiple works on the Site, a representative list of such works; Identification of the material you believe to be infringing in a sufficiently precise manner to allow us to locate that material; Adequate information by which we can contact you (including your name, postal address, telephone number and, if available, e-mail address); A statement that you have a good faith belief that use of the copyrighted material is not authorized by the copyright owner, its agent or the law; A statement that the information in the written notice is accurate; A statement, under penalty of perjury, that you are authorized to act on behalf of the copyright owner. Please provide this directly to Nina Ferraro at nina@boldlyandco.com. If you believe that material you posted on the Site was removed or access to it was disabled by mistake or misidentification, you may file a counter-notification with us (a “Counter-Notice”) by submitting written notification to our copyright agent (identified below). Pursuant to the DMCA, the Counter-Notice must include substantially the following: Your physical or electronic signature; An identification of the material that has been removed or to which access has been disabled and the location at which the material appeared before it was removed or access disabled; Adequate information by which we can contact you (including your name, postal address, telephone number and, if available, e-mail address); A statement under penalty of perjury by you that you have a good faith belief that the material identified above was removed or disabled as a result of a mistake or misidentification of the material to be removed or disabled; A statement that you will consent to the jurisdiction of the Federal District Court for the judicial district in which your address is located (or if you reside outside the United States for any judicial district in which the Site may be found) and that you will accept service from the person (or an agent of that person) who provided the Site with the complaint at issue. Completed Counter-Notices should be sent to: Nina Ferraro at nina@boldlyandco.com. Shipping. All sales are FOB shipment origin. Risk of loss passes to you upon shipment of the product from our facilities, and the occurrence of any damage during shipment will not relieve you from making payment of the balance of the purchase price. Boldly will ship products to customers overseas. Tariffs and taxes may be imposed for international customers which are not implemented by Boldly and beyond our control. Additional fees may be collected at the time of delivery to pay for government taxes and tariffs. Product Returns. It is your responsibility to assure the quality of all goods upon receipt. All sales are final except for damaged or defective materials. You must obtain a Returned Material Authorization (“RMA”) from us prior to returning any products. In order to be eligible to receive a refund or store credit for returned goods that are damaged or defective, your refund or store credit request must be received no more than thirty (30) days from the order placement date. Any approved refund or store credit will only be for the value of the returned items. Personalized and textile items are not eligible for return. For your security, refunds will be credited back to the original payment method used for the purchase. In the event that your credit card has expired or is cancelled, store credit will be issued. Contests, Sweepstakes, and other Promotions. 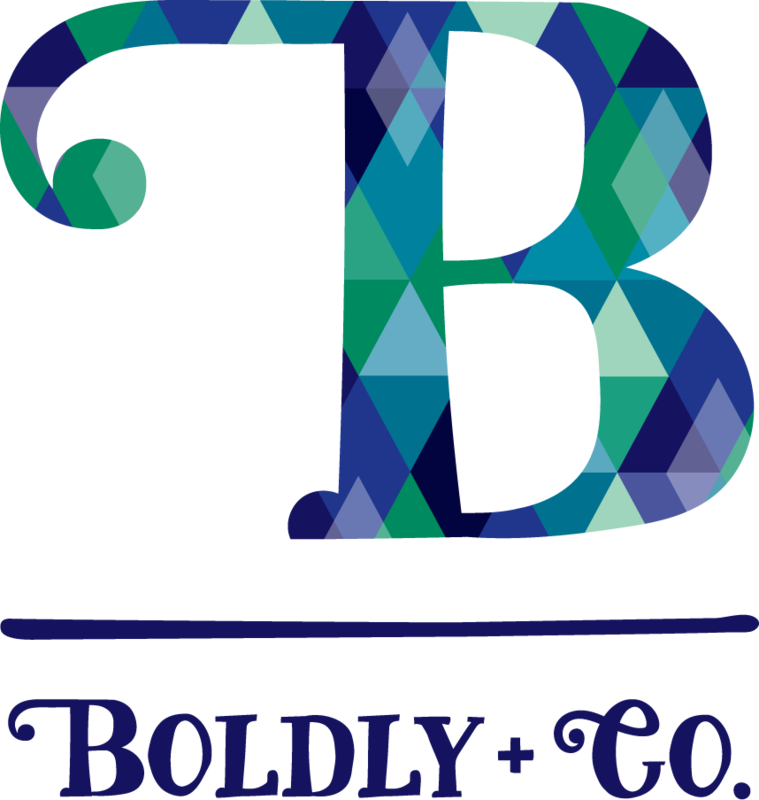 Boldly may, from time to time and in its sole discretion, offer promotions, contests, sweepstakes, surveys, or games through the Site, our newsletter, or through any other communication from Boldly (each, a “Promotion”). In addition to these Terms, your participation in any such Promotion may be conditioned upon additional or different terms and conditions and you should be sure to review any additional terms that accompany any such Promotions. To the extent the terms or rules of a Promotion conflict with these Terms, the terms accompanying the Promotion will control. Customer Service. To reach our customer service department, please visit the ”Contact Us” or “Frequently Asked Questions” sections of the Site and submit questions to us using the online forms provided on the Site. Site Availability and Support. You may access the Site if and when it is available. Boldly does not guarantee availability of the Site or Content and Boldly reserves the right to make changes to the Site and Content at anytime and without notice. The Site may occasionally be down for service, upgrades, maintenance, or for other reasons. To the maximum extent authorized under applicable law, Boldly reserves the right to change, remove, delete, restrict, block access to, or stop providing any or all of the Site at any time and without notice. Boldly has no obligation to provide any support in relation to the Site, Content, User Content, or your Account. DISCLAIMER OF WARRANTIES. TO THE MAXIMUM EXTENT PERMITTED BY APPLICABLE LAW, THE SITE, INCLUDING ALL TEXT, GRAPHICS, LOGOS, AUDIO AND VIDEO CLIPS, PHOTOGRAPHS, AND OTHER CONTENT IS PROVIDED “AS IS,” “WITH ALL FAULTS,” AND “AS AVAILABLE” AND THE ENTIRE RISK OF USE AND PERFORMANCE, REMAINS WITH YOU. Boldly DOES NOT MAKE ANY REPRESENTATIONS, WARRANTIES, OR CONDITIONS, EXPRESS, IMPLIED, OR STATUTORY AND HEREBY DISCLAIMS ANY AND ALL WARRANTIES WITH RESPECT TO THE SITE. IN PARTICULAR, Boldly MAKES NO WARRANTY THAT THE SITE, CONTENT, OR PRODUCTS: (A) WILL MEET YOUR REQUIREMENTS; (B) WILL BE AVAILABLE OR PROVIDED ON AN UNINTERRUPTED, TIMELY, SECURE, OR ERROR-FREE BASIS; (C) WILL BE ACCURATE, COMPLETE, OR RELIABLE, OR (D) WILL BE FREE FROM VIRUSES, WORMS, OR OTHER HARMFUL OR MALICIOUS COMPONENTS. NOR DOES Boldly WARRANT THAT ANY DEFECTS OR ERRORS ON THE SITE OR CONTENT WILL BE CORRECTED. BOLDLY DOES NOT ASSUME ANY LIABILITY RELATING TO DELAYS OR INTERRUPTIONS ATTRIBUTABLE TO THIRD PARTY FAILURES BEYOND ITS CONTROL. THE SITE AND ALL CONTENT YOU DOWNLOAD, UPLOAD, OR OBTAIN FROM THE SITE IS ACCESSED AT YOUR OWN RISK, AND YOU WILL BE SOLELY RESPONSIBLE FOR ANY DAMAGE OR LOSS THAT RESULTS THEREFROM. DISCLAIMER OF CERTAIN DAMAGES.TO THE MAXIMUM EXTENT PERMITTED BY APPLICABLE LAW, IN NO EVENT WILL BOLDLY BE LIABLE FOR ANY CONSEQUENTIAL, SPECIAL, INCIDENTAL, INDIRECT, OR PUNITIVE DAMAGES; FOR LOSS OF PROFITS, BUSINESS, GOODWILL, ANTICIPATED SAVINGS, OR USE; LOSS OR CORRUPTION OF DATA, CONFIDENTIAL INFORMATION, OR OTHER INFORMATION; BUSINESS INTERRUPTION; PERSONAL INJURY; WRONGFUL DEATH; PROPERTY DAMAGE; LOSS OF PRIVACY; FAILURE TO MEET ANY DUTY OF GOOD FAITH OR REASONABLE CARE; NEGLIGENCE; AND ANY OTHER PECUNIARY OR OTHER LOSS WHATSOEVER, ARISING OUT OF, BASED ON, RESULTING FROM, OR IN ANY WAY RELATED TO THESE TERMS, THE SITE, CONTENT, OR YOUR ACCOUNT, EVEN IF BOLDLY HAS BEEN ADVISED OF THE POSSIBILITY OF SUCH DAMAGES. BOLDLY SHALL IN NO EVENT BE LIABLE FOR ANY LOSS, DAMAGE, OR EXPENSE OF ANY KIND RESULTING FROM ANY OF ITS EMPLOYEES, REPRESENTATIVES OR SALES PERSONS RENDERING TECHNICAL OR OTHER ADVICE OR REPRESENTATIONS IN CONNECTION WITH THE PERFORMANCE OF ANY COMPUTER HARDWARE, COMPUTER SOFTWARE, COMPUTER PRINTERS, MEDIA USED BY THOSE PRINTERS, OR ANY COMBINATIONS THEREOF UNLESS IT IS SPECIFICALLY CONTAINED IN THIS AGREEMENT. LIMITATION OF LIABILITY AND EXCLUSIVE REMEDIES.TO THE MAXIMUM EXTENT PERMITTED BY APPLICABLE LAW AND TO THE EXTENT THEY ARE NOT EXCLUDED OR DISCLAIMED UNDER SECTIONS 14 OR 15, BOLDLY’S MAXIMUM, AGGREGATE LIABILITY TO YOU, AND YOUR EXCLUSIVE REMEDY UNDER THESE TERMS FOR ANY AND ALL DAMAGES, INJURIES, AND LOSSES ARISING FROM ANY AND ALL CLAIMS AND CAUSES OF ACTION ARISING OUT OF, BASED ON, RESULTING FROM, OR IN ANY WAY RELATED TO THESE TERMS OR THE SITE WILL BE LIMITED TO THE ACTUAL PRICE PAID FOR PRODUCTS PURCHASED FROM US, WITHOUT INTEREST. THE EXISTENCE OF MULTIPLE CLAIMS OR SUITS UNDER OR RELATED TO THESE TERMS OR THE SITE WILL NOT ENLARGE OR EXTEND THE LIMITATION OF MONEY DAMAGES. Independent Remedies. The exclusion of damages under Section 16 is independent of your exclusive remedy in Section 17 and it survives even if the exclusive remedy fails of its essential purpose or otherwise is deemed unenforceable. Each of the limitations of liability in Sections 14, 15, and 16 apply without regard to whether loss, liability, or damage arise from (a) breach of contract, (b) breach of warranty, (c) fault or tort, including negligence and misrepresentation, (d) strict liability, or (e) any other cause of action, to the extent the exclusions and limitations are not prohibited by applicable law. NOTICE ON POTENTIAL LIMITS OF SECTIONS 14, 15, and 16. SOME JURISDICTIONS DO NOT ALLOW THE EXCLUSION OR LIMITATION OF DAMAGES (INCLUDING INCIDENTAL OR CONSEQUENTIAL), LOSS, OR LIABILITY FROM INTENTIONAL ACTS (INCLUDING FRAUD, FRAUDULENT MISREPRESENTATION, AND FAILURE TO DISCLOSE DEFECTS), PRODUCT LIABILITY, OR FOR DEATH OR PERSONAL INJURY. NOTHING IN SECTIONS 14, 15, OR 16 WILL BE INTERPRETED AS EXCLUDING LIABILITY WHICH CANNOT UNDER APPLICABLE LAW BE EXCLUDED IN THOSE JURISDICTIONS. IF YOU RESIDE, OR ARE OTHERWISE SUBJECT TO THE LAWS IN ONE OF THOSE JURISDICTIONS, ANY STATUTORY ENTITLEMENT AVAILABLE TO YOU WILL BE DEEMED LIMITED TO THE EXTENT (IF AT ALL) PERMISSIBLE UNDER THAT LAW AND, IF LIMITATION IS NOT PERMITTED, THE LIMITATIONS AND EXCLUSIONS IN THIS SECTION MAY NOT APPLY TO YOU. Indemnification. You hereby agree to defend, indemnify, and hold Boldly, its directors, officers, managers, members, affiliates, contractors, employees, agents, partners, suppliers, and licensors harmless and will keep them indemnified from any third party claims or demands, including reasonable attorneys’ fees, relating to, arising from, or allegedly arising from (a) your use of the Site and activities occurring under your Account; (b) your use of any product purchased from Boldly; (c) our use of your User Content; (d) any violation by you of these Terms; or (e) your violation of any other party’s rights or applicable law. Notices. Boldly may give you all required notices (including legal process) by any lawful method, including by posting notices on the Site or by sending notice to any email address you provide to Boldly. You agree to send Boldly notices by contacting us using the online forms provided on the “support” and “frequently asked questions” sections of the Site. Reservation of Rights; Copyright and Trademark Notice.  Boldly and its affiliates, licensors, and suppliers own the title, copyright, and other intellectual property rights in the Site and Content, including all text, photographs, videos, images, graphics, logos, button icons, downloads, templates, product photos, and linked documentation. Boldly’s rights are protected by United States and international copyright laws and other intellectual property laws and treaty provisions. GOVERNING LAW AND EXCLUSIVE JURISDICTION; ARBITRATION. These Terms are governed by and construed in accordance with the laws of the State of Wisconsin, without reference to its conflict of laws provisions. You expressly agree that exclusive jurisdiction and venue for any dispute relating to or arising from these Terms, the Site, or the Content will reside in the State and Federal Courts located in Kenosha County, Wisconsin. YOU AND BOLDLY EACH AGREE THAT ALL CLAIMS AND DISPUTES ARISING OUT OF OR RELATED TO THESE TERMS, THE SITE, THE CONTENT, OR ANY ASPECT OF THE RELATIONSHIP BETWEEN YOU AND BOLDLY, WILL BE RESOLVED IN KENOSHA COUNTY, WISCONSIN BY BINDING ARBITRATION BY A SINGLE NEUTRAL ARBITRATOR OR, IF THE CLAIM QUALIFIES, IN SMALL CLAIMS COURT. YOU AND BOLDLY EACH ALSO AGREE THAT THESE TERMS AFFECT INTERSTATE COMMERCE SO THE FEDERAL ARBITRATION ACT APPLIES, INCLUDING WITH RESPECT TO ANY QUESTION OF WHETHER A CLAIM OR DISPUTE IS SUBJECT TO ARBITRATION (DESPITE THE CHOICE OF GOVERNING LAW IN THIS SECTION). YOU AND BOLDLY EACH AGREE TO ONLY PURSUE ARBITRATION ON AN INDIVIDUAL BASIS AND THAT YOU WILL NOT PURSUE ARBITRATION IN A CLASS, CONSOLIDATED, OR REPRESENTATIVE BASIS, REGARDLESS OF THE APPLICATION OF PROCEDURAL RULES BY ANY ARBITRATOR. IF ANY COURT OR ARBITRATOR HOLDS THAT THE CLASS ACTION WAIVER IS UNENFORCEABLE, THEN THE DISPUTE MUST BE BROUGHT IN A STATE OR FEDERAL COURT IN KENOSHA COUNTY, WISCONSIN. YOU AND BOLDLY EACH ALSO AGREE THAT FOR ARBITRATED CLAIMS THE ARBITRATOR’S AWARD WILL BE FINAL AND BINDING AND MAY BE ENTERED AS A JUDGMENT IN ANY COURT OF COMPETENT JURISDICTION. To begin arbitration you must send a letter requesting arbitration and describing your claim to our mailing address on the Site. Boldly will attempt to notify you in writing of any dispute if Boldly has your email or mailing address. If Boldly does not have your address, Boldly will post a notice at the Site. The American Arbitration Association (AAA) will arbitrate all disputes and the AAA’s Supplementary Procedures for Consumer-Related Disputes will apply. You and Boldly each are responsible for your own respective costs relating to the arbitration, except that Boldly will pay the arbitration administrative or filing fees, including the arbitrator fees. An arbitrator may award on an individual basis any relief authorized by law, including injunctive or declaratory relief and attorneys’ fees. Force Majeure. Boldly will not be required to perform any obligations under these Terms or be liable for any failure to perform if nonperformance is caused by any Act of God, war, civil disturbance, strike, work stoppage, transportation, unavailability of equipment, contingencies, power failures, laws, regulations, ordinances, acts or orders of any governmental agency or official thereof, or any cause not within the control of Boldly. Termination. Boldly may, in its sole discretion, terminate this Agreement, your Account, or your use of the Site, and remove and/or discard any User Content you have provided to us with or without cause and with or without notice. General. If any provision of these Terms is held by a court of competent jurisdiction to be illegal, invalid, or unenforceable, the remaining provisions will remain in full force and effect. You and Boldly intend that the provisions of these Terms be enforced to the fullest extent permitted by applicable law. Accordingly, you and Boldly agree that if any provision is deemed unenforceable, where possible, it will be modified to the extent necessary to make it enforceable, which may include its deletion. Section titles are only for convenience and have no legal or contractual significance. Boldly may assign these Terms, in whole or in part, at any time with or without notice to you. You may not assign these Terms or assign, transfer, or sublicense your rights, if any, in the Site. These Terms will be binding upon all of Boldly’s successors and assigns. Boldly’s failure to act with respect to a breach by you or others does not waive its right to act with respect to subsequent or similar breaches. A waiver will only be binding on Boldly if it is in writing and signed by Boldly. These Terms (including any incorporated terms) constitute the entire agreement between you and Boldly with respect to your use of the Site. Both you and Boldly warrant to each other that, in entering these Terms, neither Boldly nor you have relied on nor will have any right or remedy based upon any statement, representation, warranty, or assurance other than those expressly stated in these Terms. The preceding sentence will not limit or exclude any liability that cannot be limited or excluded under applicable law. No one other than you and Boldly, or Boldly’s successors and permitted assigns, will have any right to enforce any of these Terms. Contact Information. If you have questions, comments, or concerns regarding the Site or these Terms, please contact us using the online forms provided on the “Contact Us” and “Frequently Asked Questions” sections of the Site. CHANGES TO THIS POLICY. Boldly reserves the right to revise this Policy from time to time by updating it and posting it at https://www.boldlyandco.com/terms-and-conditions, with the new Policy taking effect on the date of posting. You should periodically review this Policy to ensure you are familiar with the most current version. Your use of the Site after the effective date of the updated version of this Policy will constitute your acceptance of the updated Policy. APPLICABILITY OF THIS POLICY. This Policy covers our treatment of information that is gathered by the Site, including personally identifiable information and non-personally identifiable information. If you visit the Site without registering for an Account or making a purchase, you can browse without submitting any personally identifiable information. In order to access certain features, such as registering for an Account or making a purchase, you may be asked to provide personally identifiable information, such as your name, address, phone number, email address, and billing information. This Policy does not apply to information collected by third party Linked Sites, including third party websites or services. We have no control over and no responsibility or liability for any third party collection, use, disclosure, or retention of your information and that collection, use, disclosure, and retention is not subject to this Policy. Please review the privacy policies of any Linked Sites you may access. Account, Login, Purchase, and Shipping Information. We will collect personal information from you if you create an account on the Site (“My Account”) or make a purchase. Creating an Account may enable you to move through the checkout process more quickly, store multiple shipping addresses, view and track your orders, and more. If you create an Account or make a purchase, you will be asked to provide some information about yourself, including, but not limited to, your first and last name, your email address, your shipping address, your phone number, credit card information, the names and addresses to whom purchases are shipped (if applicable), or the e-mail addresses of your friends. Customer Service Requests or Communications Submitted by You. The Site may provide functionality which allows you to voluntarily submit request or inquiry forms, including, for example, requests for help with the Site or requests for product information. The Site may also allow you to submit suggestions or comments. These forms may require that you share personally identifiable information, including, but not limited to, your name, email address, order number, a description of your comment or question, or a photo related to your comment or question. Any personal communications that you or a third party voluntarily submits to us in any format, including by email, postal mail, online form, or any other method of communication, may be collected and saved indefinitely in a profile specific to you. Electronic Newsletter. By creating an account, we automatically agree to send you an electronic newsletter or other email updates from us by submitting your email address. Any non-service related email you receive from us will include an unsubscribe link that will allow you to opt-out of receiving future emails. We will not share or sell your personal information to any third parties. Invite a Friend and E-Gift Cards. You may be able to share an electronic gift card, your wishlist, or other information with a friend by submitting your friend’s email address to us. We will not sell or share your friend’s email address to any third parties. Payment Information; Third Party Payment Processor. Credit card payments are handled through PayPal or CyberSource, our third party payment processor. Boldly does not access or store your credit card information. PayPal or CyberSource will collect and may retain your credit card information in order to process your payment. We do not control PayPal or CyberSource or their use of your information. Please also see the “Affiliated Entities and Service Providers” section below. General. We may use your personally identifiable information to manage and administer your Account and the Site; to fulfill your orders for products, including personalized products; to provide you with support and a more personalized experience; to respond to your requests and inquiries; to communicate with you; to share your wishlist, to monitor Site usage; to improve the Site; to provide you with information about products and services; to resolve disputes; to detect and protect against errors, fraud, and criminal activity; to assist law enforcement; to enforce this Policy and the Terms; or for any other purpose described in this Policy or that we describe to you at the time of collection. Personalization Services. We may use, modify, distribute, adapt, and reproduce your User Content or personally identifiable information in order to create the personalized products that you order from us. Information Retention. We will retain your information indefinitely, or as long as legally required or allowed. If you cancel your account or your account is otherwise terminated, we may, but are not obligated to, delete information we have collected or obtained from you or third parties and we may continue to use and disclose your information in accordance with this Policy. Boldly does not undertake any retention obligations through this statement. This Site is not Intended for use by Children. Boldly is committed to protecting the privacy and safety of children. This Site is a general audience site and children under the age of 13 are prohibited from using or registering for an Account on the Site. We will not knowingly collect any information from children under the age of 13; nor will we send any email correspondence to children under the age of 13. We may ask for your birth date during the registration process in order to verify your age. If we learn that we have collected information from a child under the age of 13, we will remove that information immediately and delete it from our servers. Children under the age of 13 should always ask their parents or guardians before providing their information online. If you believe information from a child under the age of 13 has been submitted to the Site, please notify us at: nina@boldlyandco.com. California Minors. We may provide Site users the ability to publicly post information, for example by submitting user testimonials or other User Content. If you are a California resident under age 18 and you are unable to remove publicly-available User Content that you have submitted to us, you may request removal by contacting us at: nina@boldlyandco.com. When requesting removal, you must be specific about the information or User Content you want removed and provide us with specific information, such as the URL for each page where the information is located, so that we can find it. We are not required to remove any User Content or information that: (1) federal or state law requires us or a third party to maintain; (2) the User Content or information was not posted by you; (3) we anonymize the User Content or information so that you cannot be identified; (4) you don’t follow our instructions for removing or requesting removal; or (5) you received compensation or other consideration for providing the User Content or information. REMOVAL OF YOUR USER CONTENT OR INFORMATION FROM THE SITE DOES NOT ENSURE COMPLETE OR COMPREHENSIVE REMOVAL OF THAT USER CONTENT OR INFORMATION FROM OUR SYSTEMS OR THE SYSTEMS OF OUR SERVICE PROVIDERS. We are not required to delete the User Content or information posted by you; our obligations under California law are satisfied so long as we anonymize the User Content or information or render it invisible to other users and the public. CALIFORNIA SHINE THE LIGHT LAW. California Civil Code Section 1798.83 permits California residents to request and obtain from us once a year, free of charge, a list of the third parties to whom we have disclosed personal information (as defined under that statute) of that California resident, for direct marketing purposes in the preceding calendar year and the categories of that kind of personal information that was disclosed to them. If you are a California resident and you wish to make such a request, you may do so by contacting us at: nina@boldlyandco.com. ACCESSING, UPDATING, OR DELETING YOUR PERSONAL INFORMATION. If your personal information changes, please contact us using the online forms provided on the “Contact Us” and “Frequently Asked Questions” sections of the Site. We will make good faith efforts to resolve requests to correct inaccurate information except where the request is unreasonable, requires disproportionate technical effort or expense, jeopardizes the privacy of others, or would be impractical. If your Account is terminated for any reason, your information will no longer be accessible through your Account or associated with your Account. However, activity that occurred prior to deletion may still continue to be stored on our systems or the systems of our service providers indefinitely.